The way Wagner refers to “basic nursing training” does not pay tribute to the years of formal education and licensing requirements for a registered nurse, nor does it address the fact that most labor and delivery nurses are not newly hired graduated nurses with no acute care experience. Most start in lower risk postpartum care before moving to Labor & Delivery. As for the six weeks of on-the-job training to be a labor and delivery nurse, I assume Wagner is referring to the heavily monitored preceptorship prior to a nurse taking her first labor patient independently. Also, Wagner has no discussion of the ongoing training and certifications required for nurses in basic and advanced fetal monitoring, neonatal resuscitation, advanced cardiac life support, or continuing education credits. Nurses, as we know, do have autonomy, as we have our own licensing board and answer only to other nurses. Typically, with the admission of a labor patient, there are standing protocols in place that involve titrating oxytocin if prescribed, and any interventions for fetal heart tones such as oxygen, fluid boluses, turning off oxytocin, and repositioning that are done at the bedside nurse’s discretion. Nurses are the ones monitoring heart tones and labor progress, and they require extensive skill and training to do so. 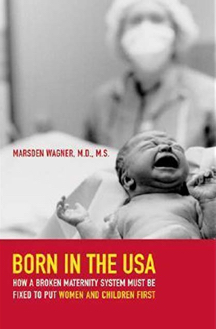 Wagner also has a case study earlier on in chapter one involving a nurse calling the OB physician to report that she cannot find fetal heart tones. A prudent nurse would not have accepted the physician’s answer that he would arrive in approximately fifteen minutes in this type of emergency. The book stated that another obstetrician (who was not involved with this patient) had been available on site and was closer at hand. Any capable nurse would have accessed this obstetrician. This may be an extreme example of poor nursing care, but it is not the norm and should not be portrayed as such. I am sickened by this publication. Keep in mind, this was only the first chapter. I was too angered to read further. Physicians must start inquiring what nurses know, think and do instead of relying on media stereotypes to form their understanding. The author died in 2014, but it’s not too late for the next generation of physicians to learn how to be a better colleague to nurses. Reviewed by guest author Colby Denson, RN, March 22, 2019. Colby has been practicing nursing in Kansas since 2012. I know many nurses who were able to pass a certification test but were not ready to be doing the job they were assigned Unfortunately nursing programs have cut out a lot of clinical training and they are not prepared when they graduate – it is not their fault. Book knowledge is not enough.